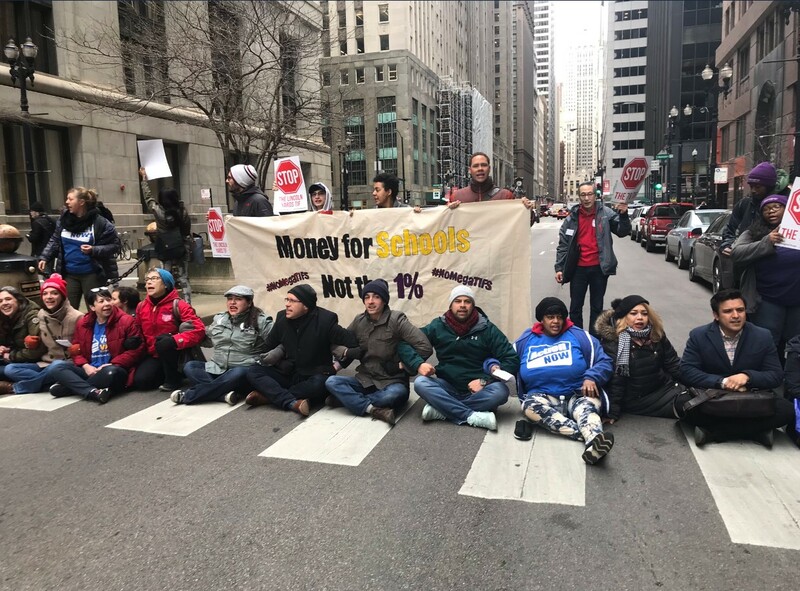 Aldermen-elect join protesters from across city in the streets to oppose lame duck City Council’s handouts to wealthy developers, setting the stage for end to business as usual for clouted insiders. 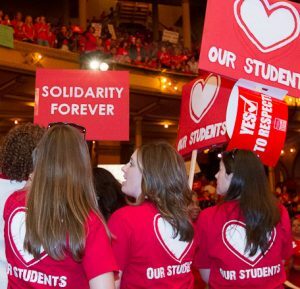 CHICAGO, April 10, 2019—CTU President Jesse Sharkey issued the following statement today. 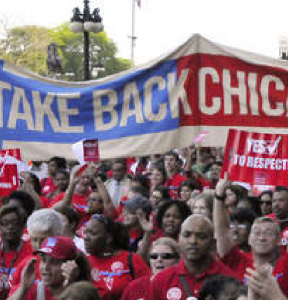 “Rolling protests are unfolding in City Hall and on the streets at this moment to oppose lame duck aldermen’s collusion with lame duck mayor Emanuel to jam through two TIFs for wealthy, clouted developers. “In a spectacular display of solidarity, newly elected aldermen—the 25th Ward’s Byron Sigcho, the 49th Ward’s Maria Hadden, the 40th Ward’s Andre Vasquez, the 22nd Wards’s Mike Rodriguez, the 47th Ward’s Matt Martin, and the 1st Ward’s Daniel LaSpata—are in the streets and blocking traffic with residents from across Chicago to demand what we have been denied for generations: equity, accountability and democracy. “Lori Lighfoot will soon take the mayor’s seat—and the residents on the streets and in our neighborhoods are the people she will have to answer to. Black and Latinx residents voted for Lightfoot because she said she would reform TIFs, end handouts to wealthy players who don’t need them, and focus on channeling resources to neighborhoods on the South and West Sides that have suffered from decades of neglect. “Her consent for these deals will cost our schools, our parks, and our public services literally billions of dollars in deflected funding. “There is a groundswell of popular demand in this city for affordable housing, living wage work for every Chicagoan, green space and decent parks in every neighborhood, health services—including mental health services—and the host of other supports our residents have been robbed of by the outgoing mayor and his political crime partners. CTU members, aldermen-elect join neighborhood residents in blocking the street in front of City Hall to oppose the Lincoln Yards and 78 TIFs.